Incredible opportunity for the right horse enthusiast. Choose your equestrian estate on 10 acres (this listing), or 5 acs, (list #5881648). Present owners invested over $300K in 2018 to build world-class 7 stall stable with fully air-conditioned tack and feed rooms, along with connected 1300 sf 2 bed, 2 bath guest hi-end Casita (not included in square footage), with no anticipation of ever selling. Life's changes can be your buyer's dream come true. Main house, including pool, was completely remodeled in 2016-2017 and features 3 bedrooms, 2 1/2 bath of luxurious living. 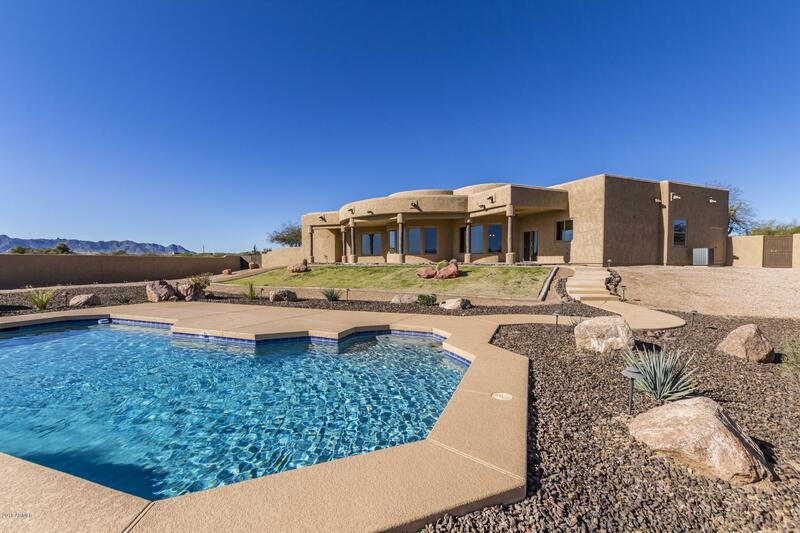 From the moment you enter the home, your eyes will be thrilled and dazzled by the 180 degree unobstructed views to 4 Peaks and the Mazatzal Mountains from every main room. Click 'More' for full details.